James Milner was superb in Liverpool’s 5-0 win over Porto, and he will be a important figure for the Reds between now and May, writes Henry Jackson. Those were the slightly odd words of Fabio Capello back in 2008, during his forgettable reign as England manager. It felt a bizarre remark even at the time, despite Milner only being 22 and impressing for Aston Villa, and it has proved to be an even more reckless opinion as the years have passed. Milner was never going to be the future of English football, even if he scooped the PFA Young Player of the Year award in 2009/10. He has never been the star. That is not a negative assessment of the now-32-year-old, however, who has carved a highly impressive career out of being an industrious player who guarantees hard work, intelligence and consistency. These attributes came to the fore on Liverpool’s biggest night of the season so far on Wednesday, as Jurgen Klopp‘s side destroyed Porto in thrilling fashion. Given their remarkable scoring feats this season, it was no surprise to see the unplayable Liverpool triumvirate of Mohamed Salah, Sadio Mane and Roberto Firmino dominate the morning headlines. Virgil van Dijk also received plenty of accolades for a commanding performance at the back, while Trent Alexander-Arnold and Andrew Robertson were both praised for their maturity at full-back. 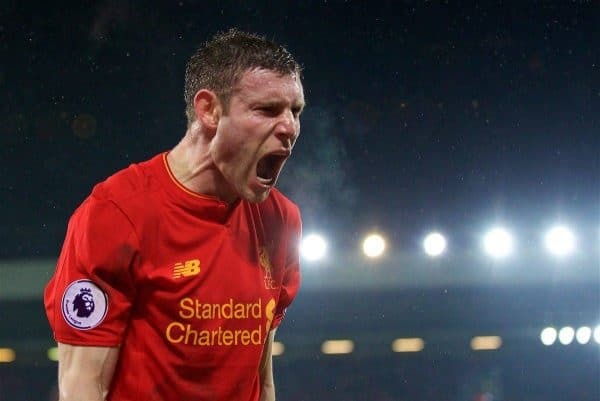 It was Milner who was the Reds’ most impressive performer, however, in the kind of understated, effective display that has defined his career. Preferred to Alex Oxlade-Chamberlain in a three-man midfield, it was a move that may have felt cautious by Klopp, but one that made complete sense. 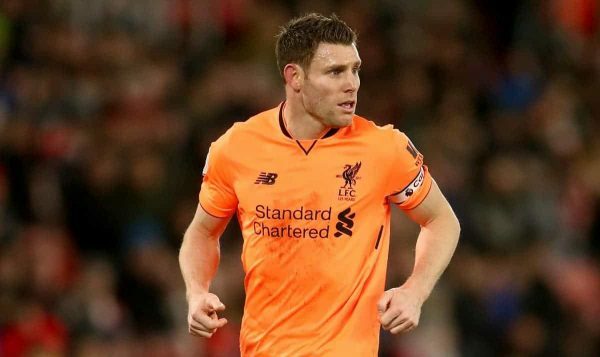 While the former Arsenal man still has question marks against his reliability and big-game credentials, Milner’s experience on such occasions made starting him a no-brainer. He was superb all night at a rain-soaked Estadio do Dragao, throwing himself into tackles—he won four overall, the second-most of any player—completing 81.8 percent of his passes and dovetailing effectively with Jordan Henderson and Gini Wijnaldum. The veteran was desperately unlucky not to score himself, with Salah converting after his shot had hit the post, and he then teed up Firmino for the fourth goal of the evening. That assist took his Champions League tally to six this season, more than any other player in the competition, highlighting what a strong European campaign he has enjoyed. The first-leg win in Portugal was arguably Milner’s best game in a Liverpool shirt—these are the nights when he is worth his weight in gold. It shows exactly why Brendan Rodgers decided to sign him in July 2015, despite a lukewarm response to his arrival, and he is someone who can really be trusted. Liverpool’s memorable 3-2 win over Man City in 2013/14 was a Premier League classic, and something that can easily be forgotten is Milner’s impact on the day. Introduced in place of Jesus Navas shortly after half-time, it was the Englishman who turned the game on its head, with City trailing 2-0 at that point. Milner was fantastic, assisting David Silva seven minutes after coming on, and he added so much drive and calm to Manuel Pellegrini’s flagging side. 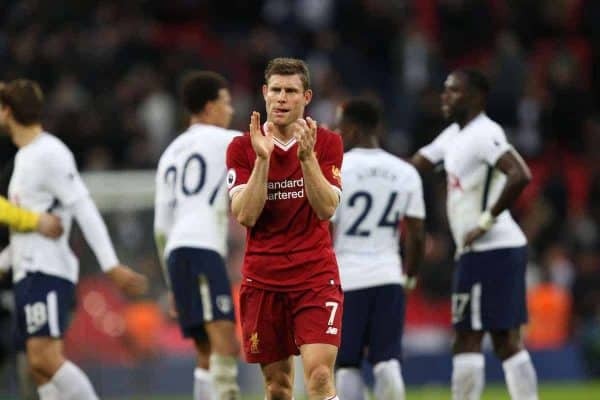 Although Liverpool eventually won the game, it again showed Milner’s ability to stand tall in huge games, and he did it many times during a City career that earned him two Premier League winners’ medals and an FA Cup. As Leeds inevitably heading towards relegation in the mid-2000s, he was always one of the few who stood tall, despite being a teenager, and there have been many worse players when it comes to England duty. 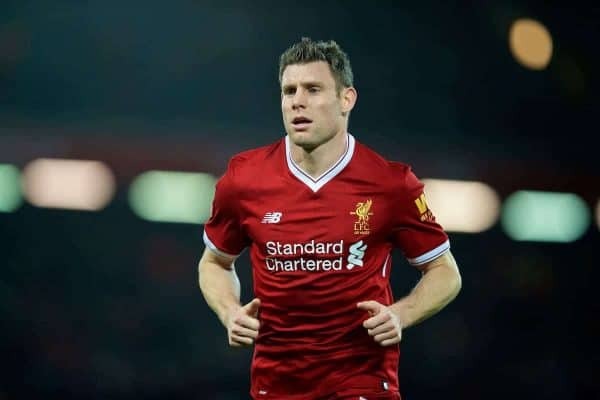 If Liverpool had a penalty in the Champions League final, Milner would be the man you would want over the ball more than any other squad member, which sums up his mentality. This is a relatively young Reds side, so his experience and nous is going to be so important as some huge matches lie on the horizon. The top-four battle is set to be intense, and as Liverpool showed against Porto, there is absolutely no reason why they cannot go deep in the Champions League. Milner knows exactly what it takes to win football matches, as his thoughtful, pleasing words after Wednesday’s game showed. “We’ve got to manage games better. We have talked about it over the last few months as a team, and with the manager as well. That, ultimately, is what wins you titles,” he told reporters. The ex-England international isn’t a name who will be on the teamsheet every week, but when the going gets tough, you would rather have him on the pitch than off it. Milner isn’t perfect, and there have been plenty of examples during his three years on Merseyside that prove it. In certain scenarios, most notably when teams park the bus, a lack of guile can be painfully evident in his game, and positionally he can be a little reckless. Equally, matches of incredibly high intensity are a strain on Milner’s ageing limbs, and his second-half cameo against City last month enabled his former team to mount a late comeback. The game passed him by, such was the speed of the play. Liverpool have six Premier League home games left this season—West Ham, Newcastle United, Watford, Bournemouth, Stoke City and Brighton—and Milner should arguably be left out of each of them. They are more tailor-made for Oxlade-Chamberlain’s more pacy, aggressive style, or the creativity and unpredictability of Adam Lallana. Not only would leaving Milner out of these games make total sense for the team, but it would also keep him fresh for bigger tussles. That’s when he will come to the fore, rising in stature instead of shrinking. 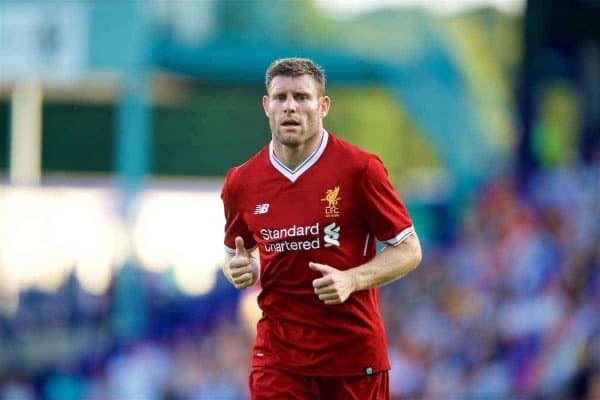 At a time when footballers seem obsessed with appearance, social media and the general notion of celebrity, Milner feels like a player from a bygone age. He is the anti-Paul Pogba. He is about as unfashionable as it gets, but few current Liverpool players have his pedigree and knowhow in pressure situations. 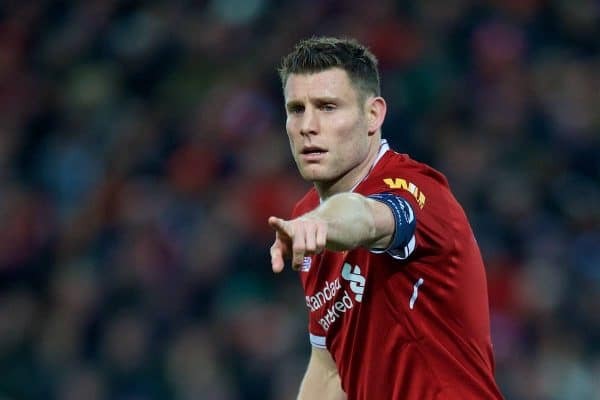 Should the Reds do the unthinkable and lift the Champions League this season, as well as finishing in the top four, Milner is almost certain to have been an essential cog in the wheel. If you watch that Porto victory back, you will see why he is so revered by team-mates, managers and opponents alike.